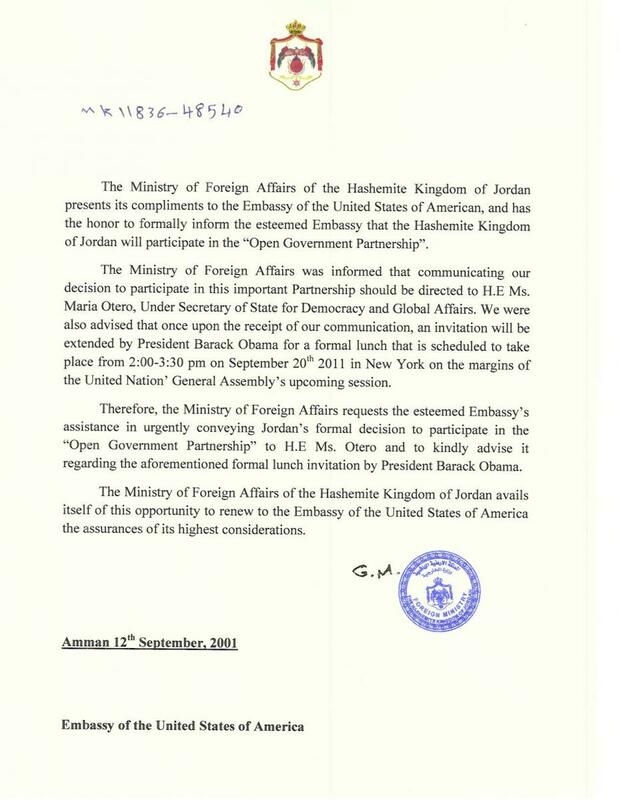 The following text was contributed by the Government of Jordan. Jordan attaches great significance to being part of the OGP, and views this Partnership as an opportunity and an important platform that gives us the chance to highlight the Jordanian model of home-grown reforms, as Jordan is well-positioned to be a model for successful reforms for our region. In this context, it is worth mentioning that Jordan is, so far, the only Arab country that met the criteria required to take part in this important multilateral initiative. The Ad-hoc Committee is currently developing Jordan’s second national Action Plan focusing on the work of “the Royal Committee for enhancing the National Integrity System” headed by the Prime Minister. This Royal Committee is currently engaged in a wide and inclusive consultation process across the Kingdom to build a national consensus around a National Charter for strengthening the integrity system in the country, which will serve as a road map for future reforms in this vital area towards strengthening integrity, transparency, the rule of law, accountability, justice and equal opportunities.